In 330 Orthodox Christianity was announced a state religion in Georgia. Since then Christian culture is beginning to flourish in Georgia. The Christian religion influences the whole culture of the middle ages. During the middle ages thousand of churches, cathedrals and monasteries were build in Georgia. The richness of Georgian architecture is fully manifested in the existence of numerous churches. The history of this field of architecture is connected to the development of Georgian domed churches with a square central bay and four arms around it forming a crass. The versatile folk architecture is also worth being pointed out here. The â€œDarbaziâ€� type of dwelling was typical to the Eastern regions, whereas the â€œOdaâ€� type prevailed in the West of Georgia. Fortresses and towers were widespread in the mountainous regions. 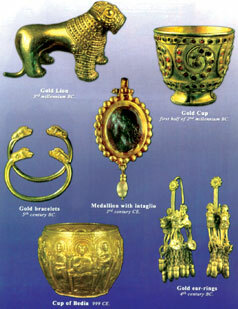 As it is known the historical and cultural heritage is best preserved in the museums. That's why, to prove everything about the past of our country, we recommend you to visit museums in Tbilisi.